Join Spin Fiesta Casino today and benefit from an amazing welcome package that brings you 80 Spins in three of the best slot machines. 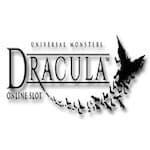 Create an account, use the bonus code DRAG10, and you will be instantly awarded with 10 Free Spins on Dracula slot. They will be valid for 7 days from receipt. 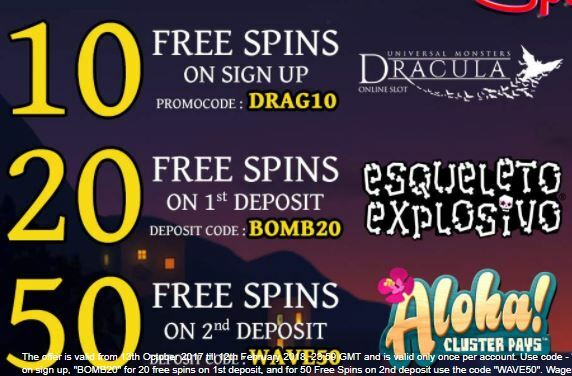 When you make your first deposit, you get 20 more Spins on Esqueleto Explosivo using the code BOMB20 and your second deposit brings you 50 Spins on Aloha! Cluster Pays if you use the code WAVE50. These will be available for 90 days from the moment they’ve been credited. Register now, make the deposits, and enjoy spinning the reels of these highly entertaining and rewarding slot machines!